By Muhsin Ibrahim University of Cologne muhsin2008@gmail.com Once again, Kannywood is being dragged into the limelight and for the same reason: moral issue. The story of the murder of husband, Bilyaminu Bello by his wife, Maryam Sanda has been trending in the news since it happened on 18th November 2017. Domestic violence, which, if not tackled, leads to mariticide, is as old as marriage itself. Therefore, using a picture of an actress, Aina’u Ade wielding a knife against an actor, Ali Nuhu from a scene of a Kannywood film to show how Maryam got influenced is, at best, wrong and, at worst, absurd. Do we care to look at what are the context and the consequence of that act in the film? Almost every positive adjective one can think of has, today, been used to refer to Nollywood especially in places outside Nigeria. For those who perhaps don’t know, the film industry is the second biggest after Bollywood in the world; it is, arguably, however, the second largest employer after Agriculture in Nigeria; and is now regarded by many observers as not only a Nigerian film industry but a pan-African cultural phenomenon. Beside all these glories associated with Nollywood, the Northern part of Nigeria has its distinct and distinctive film industry, which is even historically older. 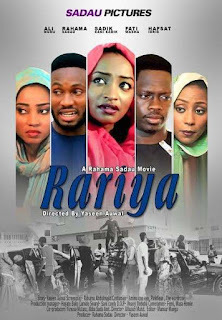 Kannywood, as it’s tagged, nevertheless, still struggles for recognition and acceptance within and outside the country. This is, however, due to a number of reasons.